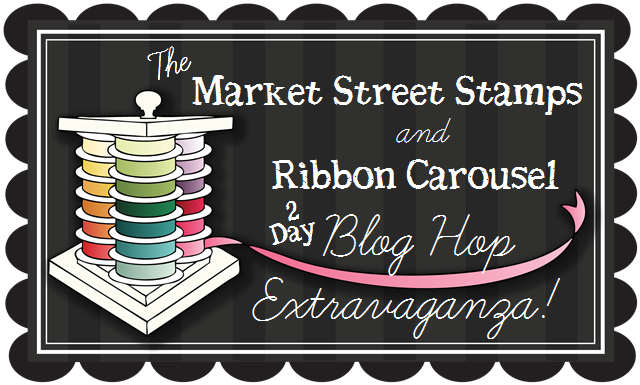 What: Market Street Stamps and Ribbon Carousel Blog Hop! How: Start the blog hop at either the Market Street Stamps Blog or Ribbon Carousel Blog. 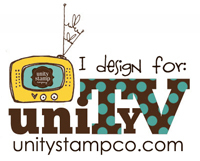 Visit each of the designers blogs featured on both days, Tuesday and Wednesday. When you have completed the Blog Hop, leave your name on the Inlinkz on either the Market Street Stamps Blog or the Ribbon Carousel Blog. You have until NEXT MONDAY, February 13 at 11:59pm EST to complete the entire hop. 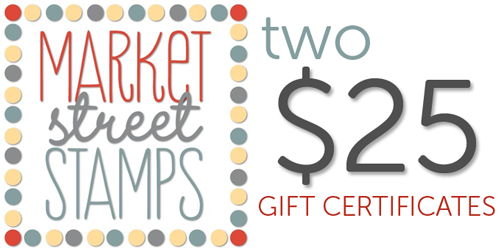 3 Prizes for 3 winners: We’re giving away two $25 Gift Certificates to the Market Street Stamps store and a brand new Ribbon Carousel! Now, with all of this going on, we thought we better make this week’s challenge an easy one! So… Anything Goes! 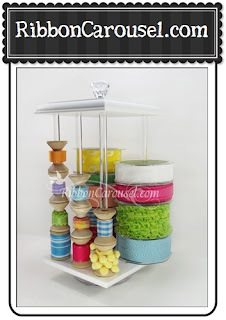 To enter our challenges, make a creation using anything that comes on a spool somewhere on your project, and enter for a chance to be one of our TOP SPOOLS! Here is my card using 2 gorgeous stamp sets from Market Street Stamps - Vintage Wallpaper and Believing Butterfly. And I used the colours from the current Market Street Stamps Paint The Town Challenge. Be sure to hop on over to the rest of today’s blog hop participants! Here is a list to help you hop. Wow! Those colours are fabulous together! not something I would have put together, but it just pops! Stunning card! Amazing job with the colors. Really beautiful card, I love the background and the mustard yellow with the black looks amazing! Beautiful card and wonderful sentiment. Love your color combination. WOW...love the eye popping colors! So eye catching. The sentiment is beautiful! Love what you did with the background! And the texture of the ribbon looks great! Danielle, these colors really pop! Not my color combination but it's looking gorgeous. Beautiful card - love the striking color combo!!! This is so pretty! Love the orange/yellow on the gray background with that coral bow, what a fabulous color combo, and love the shading on the sentiment piece. Just gorgeous! I LOVE this! What a beautiful color combo and love how you sponged the color in w/ the sentiment! Gorgeous! Wow factor for sure! I love that sentiment! TFS! Beautiful card. The colors are amazing! I love how you list the supplies used! Such a cute card! wow what a card! The color on that sentiment focal is stunning! So pretty. beautiful card, I love the color combo and the ribbon is pretty. Love the colors on this beautiful card. Ooohhh la la, Danielle! LOVE how you used the colors in this card- that blended ink really makes the sentiment POP and you can't beat that beautiful bow! Love the white on black! love the beautiful ribbon! Very elegant! Love the Vintage Wallpaper stamp and the colors you chose for your card! Very nice! Pretty color combination and your bow is beautiful! Girl, thisis beautiful!! LOVE the sponging on the sentiment!!!! Very pretty card. Love the colors and the sentiment! Fabulous card - great color combo! The shading on your sentiment is so cool!! wow, this is gorgeous! I love the vintage wallpaper background, it's one of my favorite stamps! Beautiful card! And your craft space....oh my! I would love to play in that room! What a stunning card...love the colours. Thanks for sharing. Wow, this is STUNNING, sistah! What a STRIKING colour combo and I love how you used that GORGEOUS background stamp! Love your card. The embossing on the vintage wallpaper is gorgeous. WOW... That sentiment just pops!!! Great card - I love that combo of colors together. The grey and yellow are fabulous together and I love your inking on the tag! What a pretty card! Love the pretty color combo. This is such a beautiful card! I love the sentiment so so true! What a beautiful card- the ee cummings is fab & a very striking color combo! 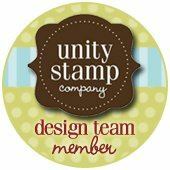 Loving all the projects in the hop...and your card is awesome! How pretty! I love the sponging! Wonderful card, and I love the sentiment! What awesome colors, they just pop! This is really pretty! I love the inking on the sentiment label!! love your card..love the navy with the white stamped background! !and the perfect spot of ribbon color to top it off. I adore this MS stamp sentiment! What a fabulous card creation! Super pretty card--I LOVE that orange/yellow with gray! BEAUTIFUL! Wow! Your photography is amazing! It truly does your cards the justice they deserve :) I love that sentiment as a focal point! I'm totally loving the vintage wallpaper bg! Beautiful card Danielle! Gorgeous card. Love the rich colors and your background design. I just love that background. What a classy card! This card is soooooo gorgeous!!!!! Thanks for sharing!! !